Club 12 of San Antonio has been organized as a non-profit organization, first, for the specific purpose of maintaining and operating an educational society to combat the disease of alcoholism, secondly, to provide a suitable meeting place for Group 12, Alcoholics Anonymous, and thirdly, to maintain and operate suitable club rooms for the members of Club 12. Funds for the support of Club 12 will be provided by membership dues and contributions. No capital stock will be issued. All monies received from membership dues, contributions, or operating income by Club 12 will be used for the purpose of building, buying, leasing, equipping and operating quarters for the club, and to educate the public on the disease of alcoholism. Any member of Alcoholics Anonymous residing in San Antonio, Texas, or its environs, who has had not less than 30 days of continuous sobriety, may apply for membership in Club 12 and may be approved for membership under such conditions that may be adopted by the Board of Directors. Any membership may be canceled by the Board of Directors for violation of rules or regulations adopted by authority of these By-Laws, for the orderly operation of the club. Wives or husbands of members will be granted all privileges of Club 12 except the right to vote. They will be subject to the same rules and regulations that govern members. When husband and wife are both eligible for membership in the Club , only one membership will be issued for both. Dues for such family memberships will be the same as for individual members, and only one vote will be cast for memberships of this kind. Membership dues or fees will not be refundable and membership in the Club is not transferable. Monthly dues will be assessed each member, in an amount to be determined by the Board of Directors, with the approval of a majority of the membership. Any member who is delinquent in the payment of dues for more than 30 days will forfeit the rights of membership. Such delinquent members may be reinstated with the approval of the Board of Directors, or a membership committee appointed by them. The right to vote shall be extended only to those members who have paid dues for a period of three consecutive months immediately prior to a regular or called meeting held for the purpose of voting. A member who fails to maintain sobriety, or who regularly uses narcotic drugs or barbiturates will forfeit the right to vote for 30 days. A member under the influence of alcohol, narcotic drugs, or barbiturates will be denied admission to the Club rooms. The activities of Club 12 will be administered by at least four officers who will be selected by the Board of Directors. Qualifications for the Board of Directors and officers and their responsibilities are defined in Article IV and V hereafter. The Board of Directors will formulate policies, supervise operations, employ and terminate employment of Club employees and assist and advise the officers of the Club. The board will formulate rules and regulations for the conduct of members in the Club rooms and may act as or appoint a membership committee or other committees. The Officers will exercise executive functions over the activities of the Club. They will carry out the policies of the Board of Directors, subject to the wishes of a majority of the membership expressed by vote in meetings, and will present the plans and policies of the Board of Directors for question, amendment or approval, when deemed necessary, at such membership meetings. The Board of Directors, five in number, shall be elected by the membership and will consist of members who have had a minimum of three years of continuous sobriety at the time of election to the Board. One member for serve one year. Two members will serve two years. Two members will serve three years. As the term of office of each Board member expires, a member shall be elected to fill the vacancy created thereby and shall serve for a term of three years. Immediately after the annual meeting each year or to fill a vacancy occurring during the year, the Board shall elect one of its members as Chairman and one of its members as Board Secretary. Board members will serve without compensation. Failure to maintain continuous sobriety will be cause for an immediate and automatic removal of a Director. Failure to maintain Club dues, or resignation from the Club or Board, will be the only other reason for removal of a Board member before his elected period of service expires. Vacancies occurring on the Board of Directors for any reason other the expiration of term of office, shall be filled by a qualified Club member to be selected by the remaining Board members. This newly selected member of the Board shall serve until the next annual election. Any action or decision adopted by the Board of Directors may be canceled or amended by a majority vote of the members present at a regular or called meeting of the membership where a quorum is present. A quorum is fifty percent of the eligible voting membership. A special meeting to consider these actions or decisions shall be called by the Board of Directors upon written request therefore signed by at least fifty percent of the eligible voting membership. The officers will consist of a President, at least one Vice President, and a Secretary-Treasurer, selected by the Board of Directors and an Executive Secretary to be employed by the Board. They shall all be members of Alcoholics Anonymous with at least six months of continuous sobriety and members of Club 12 in good standing. The President, Vice President(s), and Secretary-Treasurer will serve for a period of six months and will receive no compensation. The Executive Secretary will be employed for an indefinite period, until terminated by the Board. The Executive Secretary will be paid a salary to be determined by the Board. Failure to maintain continuous sobriety by any of these Officers will be cause for immediate and automatic removal from office. Failure to perform the duties of the office satisfactorily will also be grounds for removal of an Officer. A successor will then be appointed by the Directors to complete the term. (a) Preside at meetings of the Club. (b) Act as host to greet new members and visitors. (c) Supervise the maintenance of buildings and properties. (d) Consult with other officers on daily operations. (b) Arrange Group 12 programs with the assistance of the Executive Secretary. (c) Consult with other officers on daily operations. (d) Perform all duties of the President in his absence. financial institution as approved by the Board of Directors. or any two authorized officers of the Club. financial statement shall be available to members at all times. read for approval or amendment at the next business meeting of the Club. record of all Club members. (f) Consult with other officers on daily operations. (b), (c), (d), and (e) above. (c) Supervise Club employees in daily maintenance and housekeeping. (d) Keep records of 12th step calls. Take 12th step calls and assign them to members. members and visitors and encourage them to become members of Club 12. 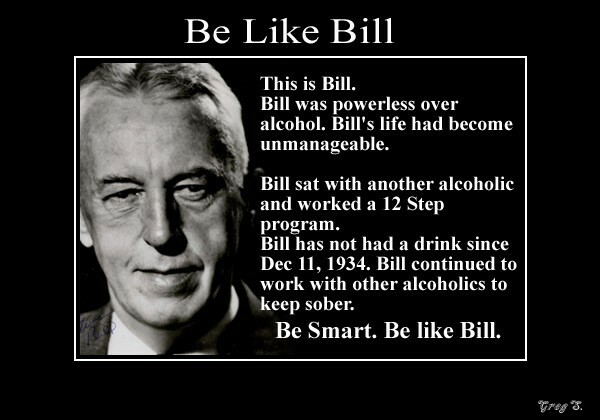 The Board of Directors and Officers of Club 12 at all times and in all their official acts shall strive to promote the aims of Alcoholics Anonymous as set out in the 12 Steps and 12 Traditions of Alcoholics Anonymous. The Club rooms and Club facilities shall be for the use of Club members and their families only. On those days or evenings when AA meetings are held at the Club Rooms, non-members of Club 12, visitors or interested friends are welcome to attend the AA meeting. When social functions are held at Club 12, non-members, visitors, or friends may be invited at the discretion of the Board of Directors. AA members not residing in San Antonio may visit the Club rooms. Prospective members of AA, when introduced or sponsored by a member of Club 12, shall be issued a guest card for a period of 30 days. Anyone under the influence of alcohol, drugs or barbiturates will be denied admission to the Club rooms. Robert’s Rules of Order shall govern all meetings of Club 12 and its Board of Directors. The annual meeting of Club 12 shall be held during December of each year. The purpose of this annual meeting shall be to elect appropriate members of the Board of Directors and to conduct other business which properly may require action by the membership. Notice of the annual meeting will be mailed to the members at least ten but not more than fifty days prior to the meeting date and will be posted on the bulletin board in the Club rooms. It shall state the time and place of the meeting and the nature of the business to be transacted. Proxies may be voted in elections of Directors but may not be voted for any other purpose. Provided notice of the specific nature of business to be transacted is given as provided in the next preceding paragraph, special meetings shall be called by the Board of Directors as provided in Article IV and may be called at other times at the discretion of the Board. The Board of Directors will meet at least once each month. A majority of the five board members will be considered a quorum and decisions may be made by a majority vote of the Board members present. Club 12 will contribute to the support and maintenance of a Central Office of Alcoholics Anonymous in San Antonio. At the discretion of the Board of Directors, Club 12 may also make contributions to other AA organizations. A corporate seal, bearing the imprint of a star in the center, with the legend “Club 12, Texas” shall be the official corporate seal of the Club. This seal will remain at all times in the custody, possession, and control of the Secretary-Treasurer. These By-Laws may be altered or amended by an affirmative vote of 75% of the members present at any regular or called meeting of the Club, provided a quorum of at least fifty percent of the eligible voting membership is present. No proxies will be voted on amendments to the By-Laws. The Directors, Officers, and members of Club 12, individually and collectively, are responsible for the observance of these By-Laws and any other rules or regulations established by properly constituted authorities of Club 12.